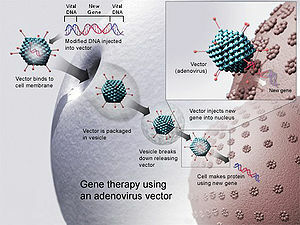 The concept behind gene therapy is simple: deliver a healthy gene to compensate for one that is mutated. New research published today in the Journal of Neuroscience suggests this approach may eventually be a feasible option to treat Rett Syndrome, the most disabling of the autism spectrum disorders. Gail Mandel, Ph.D., a Howard Hughes Investigator at Oregon Health and Sciences University, led the study. The Rett Syndrome Research Trust, with generous support from the Rett Syndrome Research Trust UK and Rett Syndrome Research & Treatment Foundation, funded this work through the MECP2 Consortium. Today’s study is the first to show reversal of symptoms in fully symptomatic mice using techniques of gene therapy that have potential for clinical application. Rett Syndrome is an X-linked neurological disorder primarily affecting girls; in the US, about 1 in 10,000 children a year are born with Rett. In most cases symptoms begin to manifest between 6 and 18 months of age, as developmental milestones are missed or lost. The regression that follows is characterized by loss of speech, mobility, and functional hand use, which is often replaced by Rett’s signature gesture: hand-wringing, sometimes so intense that it is a constant during every waking hour. Other symptoms include seizures, tremors, orthopedic and digestive problems, disordered breathing and other autonomic impairments, sensory issues and anxiety. Most children live into adulthood and require round-the-clock care.